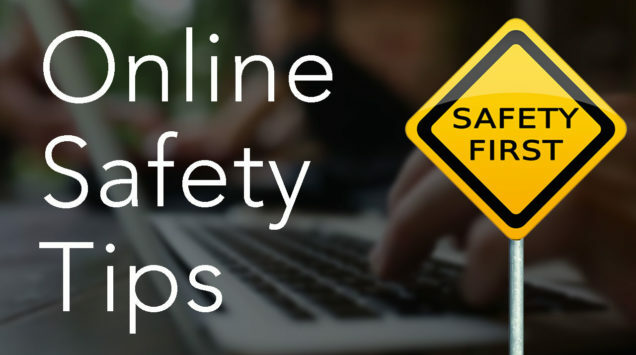 If you spend a lot of time on the Web, then it’s necessary to follow online safety rules. In this article, we will explain why Internet safety is important and share some tips on how to stay safe online. Follow our recommendations to avoid online threats, and to safely use Internet services and devices. Internet safety tips for adults. Internet safety tips for teens. Internet safety tips for kids. While the use of the Internet is expanding, the problems of online security are becoming more important. Today, almost everything can be done online: from paying for public services to booking airline reservations. But you should be careful as scammers come up with tons of ways to steal our money. According to Internet safety statistics, 31% of Internet users in 2017 suffered from the actions of Internet scammers. When we talk about safety online, even using social networks may not be secure. The reason is that almost all online services collect our personal data. They may use this information without our permission. For example, everyone knows about the Facebook’s worldwide data privacy scandal. The event centered around the collection of personally identifiable information of up to 87 million people by the political consulting and strategic communication firm, Cambridge Analytica. Also, a professional hacker can get access to all your data, including account logins, passwords, credit card numbers, and so on. This means that you should pay special attention to your identity theft protection. Thus, when it comes to Internet safety, all our online activities may be under threat of being viewed by third-party organizations (government, ISP) or even hacked by Internet scammers. So, let’s not to waste time and learn how to stay safe on the Internet. Do not click on suspicious links. If you receive a letter from your bank with a proposal to update the password or a notification from Facebook about a new message, do not rush to open the proposed links. Instead of facebook.com, it is quite possible to see fasebook.com or even facebok.com: the difference is only one letter, so most users may not even notice it. But if you follow this link, you may pick up a serious virus or even worse – compromise your account or lose money on a credit card. Use only licensed software. If you download apps from unsecured sources, be prepared for the fact that you might be hosting a virus on your computer. The more popular the program is, the higher the probability that unlicensed software can damage your system. Shop only through trusted online stores. If you like online shopping, make sure that the store is completely secure. The easiest way is to type the name or URL of the site in search engines and see what other people write about this store. The second way is to install special browser extensions that identify a potentially-dangerous site and block access to it. Update your programs regularly. With each software update, developers constantly eliminate vulnerabilities to viruses and increase their protection possibilities. That’s why it’s important to regularly update programs, including antivirus programs if you use them. Use secure passwords. When choosing passwords, try to use your creativity and create different passwords for each account! A strong password must include minimum 8 characters, uppercase and lowercase letters, numbers and special symbols. Free password managers are also very useful when managing a large collection of passwords. Read our previous article, How to create a strong password. Use only websites with encrypted connections. The address of encrypted connections starts with “https” instead of “http,” and there is a lock icon near the URL. Check the address each time you visit online stores, online banking, or email service providers. Avoid using public Wi-Fi networks. Public Wifi hotspots are very practical when you need to visit the site for a short time or to determine your current location using your smartphone. But you should never use public Wifi for Internet banking or when you transfer any confidential information, as it is easy for hackers to compromise your data. If possible, avoid access to important accounts when you are connected to a public access point. If this is necessary, then use a virtual private network (VPN). In this case, all transmitted data will be securely encrypted. Keep your personal data secret. Personal information that is provided to websites and applications is often disclosed and may even be sold to third parties. Try to fill only the required fields, as email and name when creating accounts in different services and don’t tell about your hobbies, interests, family status, and so on. Make a habit to regularly create backup copies of your data. There is always a risk of losing data, for example, when the device is lost, stolen, or destroyed. In case of catching a virus, backup copies can reduce the risk of losing important data or the risk of extortion by intruders. Keep your personal information private. Do not tell anyone your real name, address, or even the area where you live. The main rule: do not give information that allows strangers to find you. Even small clues like the school you attend or the name of your sports team allow others to identify you. Observe the elementary laws. Like in offline life, writing angry letters, hacking other people’s computers, illegally downloading music and movies are prohibited by law. Keep in mind that even if you are behind the screen, you are not hidden. Think before you write anything – outside people can always find out who wrote it. Use your own login and password. Do not tell anyone your login and password, even your friends. What if a friend logs on, pretending to be you and says something terrible? It may be just a joke for your friend, but his or her actions can be quite harmful to you. So once again, keep your password and login secret. Be extremely careful when making new acquaintances. Many teenagers make new friends online. You have to be very careful, making sure that your friends are also familiar with the new online persona. If you decide to meet him or her, notify your parents and choose a meeting appointment in a crowded place, for example, in a shopping center. If the situation seems to be suspicious, trust your intuition and stop communicating with this person. Each day more than 175,000 children on our planet enter the Internet for the first time or start using social networks. But 90% of adults do not understand the realities of the threats within this global network. However, if you read these tips and explain them to your children, you can be more calm about their safety while being online. To ensure safety on the Internet for your children, instruct them about basic tips and monitor their actions on the Internet. Make clear rules about which web pages they can visit and online games they can play, depending on the maturity of your children and your family values. Pay attention to what your children are doing on the Internet and with whom they communicate. We have shared the most important tips on how to be safe online. Today, cybercriminals are becoming more inventive, so you should be careful and always pay attention to your online security. Whatever you do on the Internet, it is important to follow the basic security precautions or at least use programs that protect your data, for example, a VPN. If you use a VPN every time you access the network, it creates a protected VPN tunnel between your computer and the remote server. This forms a shield of protection from hackers, government agencies, and other persons who may wish to inspect your traffic and data. You may try VPN Client for Mac, which provides strong encryption and highly secured protection of your traffic. Also, you can try VPN Client right now for free, as it provides a free 7-day trial subscription.